“THIS will require a quick lesson in global economics…bear with me,” says Erik Killmonger, the muscular villain in “Black Panther”, a long-running Marvel Comics series. In that saga and the recent film it inspired, Killmonger and the Black Panther vie for the throne of Wakanda, a fictional African kingdom little known to the outside world. A land of great wealth and technological sophistication, it lends itself to several quick lessons in economics. Bear with us. The source of Wakanda’s riches is its “great mound” of vibranium, a versatile ore left behind by a meteor strike, which can absorb sound and motion. 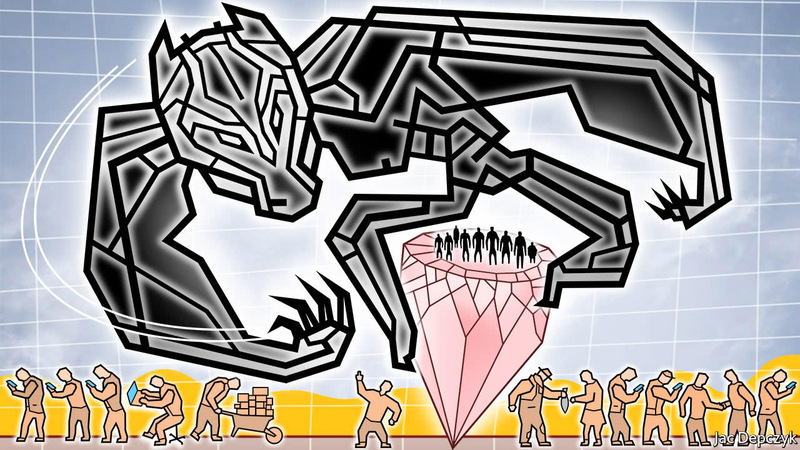 Like other deposits of natural treasure, Wakanda’s vibranium attracts some vicious intruders. But unlike some other resource-rich countries, Wakanda has never succumbed to outside foes.